A session at the 2018 Collaborative Diversity Conference. As our world becomes more diverse, it’s important to make diversity and inclusion part of everyday culture. 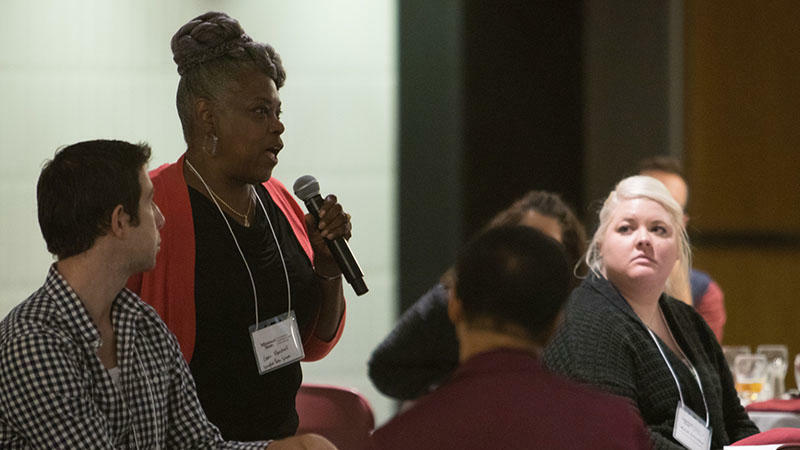 To this end, Missouri State University hosts the annual Collaborative Diversity Conference on campus to promote the inclusion of diversity in our community. The theme for this year’s conference is “Bridging the Cultural Divides.” It will take place April 24-26, 2019, in the Plaster Student Union. Wes Pratt, chief diversity officer at Missouri State, shares more about the conference. An interview with Wes Pratt. On April 24, there will be a pre-conference workshop on “Facing racism in 2019 and beyond” through the Facing Racism Institute. Conference registration is online and the price is $250. The pre-conference cost is $150. To get more details, visit the conference website. Diversity and inclusion are popular buzzwords in many organizations today. But what do they really mean? And how do we go beyond paying lip service to the idea? Missouri State University’s Bias Response Team has handled 20 cases of perceived prejudice so far this year. The unit is comprised of nine officials, including students, faculty and staff; and is headed by MSU Dean of Students Dr. Thomas Lane.